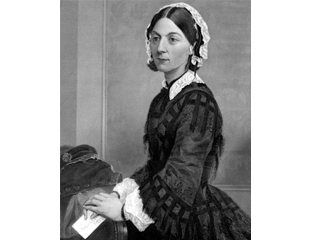 Florence Nightingale was born in 1820 in the town of Florence in Italy. Her family were rich and she was taught at home by her father. She wanted to be a nurse because she felt that God had called her to help others. Her parents didn't like this but she ignored them and trained as a nurse.